A furnace is an appliance or device that is used to provide homes as well offices with the warmth and thermal comfort needed every time outdoor temperatures begin dropping during the fall or winter seasons. Your furnaces would be an essential companion that will bring you joy and comfort amidst that cold weather. That is why it is very important to find the one that will keep you comfortable while not even costing you an arm or a leg to use. When it comes to furnaces, there is no such thing as lack of options. Many industrial and residential big brands have varying and competitive products which make it hard for clients and customers to choose. As such,the following topics would help you be equipped with the knowledge, terms and ideas that would essential to always have the right decisions for your home and business. A. What is a single stage furnace? So how do you choose the best heating contractor? In an overview, if one heating system operates efficiently and only would be needing just an annual tune up, one would not need to think of replacing the unit. Every new gas furnace in the United States has an assigned Annual Fuel Utilization Efficiency (AFUE)before it is made available to the product. This is a whole number percentage format and refers to the amount of fuel in a heating system. For example, a heater with an AFUE rating of 85% percent uses that percentage on fuels and wastes 15% of it. Based on market surveys, the most efficient heaters in the market is at AFUE ratings of 98%. The Environmental Protection Agency (EPA) currently requires a minimum energy efficiency rating of 78 percent for all heating systems except for those used in a mobile home. The next question is, how do I determine if a furnace is highly efficient? The Department of Energy or DOE mentions that there are several ways or techniques in determining the efficiency level of furnaces. The very first one is of course, via AFUE rating. Ranges 56-70 percent in AFUE are considered low efficiency units whereas the most efficient ones range from 90-98. Mid efficiency units often settle at 80 to 83%. Other than the rating, how would you set High Efficiency Units apart from the Mid efficiency furnace? It has a fan-induced draft and also includes a small diameter flue. Advantages of Mid efficiency are the retrofits that are simple, less expensive and late maintenance. Disadvantages include Connection on and cannot be direct vent. AFUE or Annual Fuel Utilization Efficiency Rating ranging from 90+ and above. Advantages of High efficiency include lower fuel consumption, produces less unwanted by-products and easier installation. Though it is more expensive compared with lower efficiencies, more maintenance is needed, the newer designs in the market are still not proven, more parts to break, condense disposal and more parts to break. A mid-efficiency furnace has an average fuel utilization efficiency running from 80% to 85%. This type of furnace works well in mid climate where it does not usually grow cold. It also will work from a cost perspective if one only plans to reside in a certain home or area of fewer than 5 years. On a high-efficiency rating for furnace, on the other hand, works with not so mild winters. High efficiency rated furnace has a rating of at least 90% or higher. In this field, the higher the efficiency rating, the more money you will save for energy costs. As we proceed in distinguishing the different types of furnace, we highlight the different stages of each furnaces from single, to Two Stage and Modulating. As you view your furnace options in the market, it is best that you have a good idea on the distinguishing factors that sets one furnace with another apart from the manufacturer or brand. A single stage furnace has 2 stages or settings. The thermostat in the house triggers the house to capture heat which eventually turns the furnace on and in maximum power. The furnace will continue to run until it reaches full capacity and the thermostat satisfied, then shuts off. This is the cycle which somewhat gets uneven heat throughout the house. The furnace hits you with blasts of warm air that will deliver temporary thermal comfort, but unfortunately would not have the mechanism to maintain the heat which tags it as not very efficient. The burner in a two stage furnace can run at two different levels. Different burners are programmed differently, at 60% and 100% for example. Working with a two stage furnace is quieter and generates more even heat through the house. The longer and slower heating cycle gets rid of the abrupt heat flow which the single stage produces which can be quite uncomfortable as it provides better air filtration and air quality. Two stage furnaces give buyers the best balance between cost and value. They are more expensive to purchase initially than a single stage, but run more quietly and efficiently. Modulating furnaces run in very precise increments. Some models can run at 40% capacity and increase by .5% if the thermostat calls for it. Because they can manage temperature so precisely in your house, they usually run continuously at a very low setting. The temperature in every room of the house remains consistent because of this continuous operation. The air isn’t blasting in then settling, then blasting. It’s constantly flowing. Modulating furnaces can achieve up to 98% efficiency, meaning 98% of the fuel that goes into the system returns as heat. A single stage furnace or 1-stage furnace means exactly what you think. The furnace has only 1 setting (high) so whenever it’s operating, it’s running at full capacity-no matter how cold it is outside. A single stage furnace is not as efficient as every time it turns on, it’s working at full blast to produce as much energy as possible. With a variable speed furnace, the variable speed doesn’t refer to the furnace itself but to the furnace’s indoor blower motor. Variable simply means that the blower motor operates at different speeds to more accurately control the flow of heated air to your home. Its advanced technology is able to constantly monitor and adjust its blower settings to account for things in your home that restrict airflow, such as your ductwork, furnace location and even dirty filters. With all the items and topics discussed about the furnaces, whether you need to replace a dead furnace or install an entirely new heating system, it will definitely entail a significant amount of investment. Before even starting to shop for a shiny, high tech furnace, it is important to consult with a licensed HVAC technician or expert. The HVAC professionals would be able to identify the dimensions and specifications of the appropriate furnace for your house based on its size and configuration balance cost effectiveness and efficiency. The first recommended question to throw to a HVAC technician would be the kind of fuel the furnace use which range from gas, electric or oil. Majority of the homeowners would stick to whatever they already had to minimize the labor and costs associated with extra installation of things such as duct work or running electric lines. Other considerations include the location, size of the house and energy bills and will add to the factors on one’s decision of which furnace type, model and size is fitting to your house. There are a lot of brands out there to choose from, and it’s important to do your research ahead of time before deciding which furnace brand you will go with. The one that works best for your house might not be the one that you recognize from radio or TV ads. You will need to factor installation cost into your overall price if you plan on having it installed by a professional, which is recommended unless you have specific HVAC training. Gas Furnaces – these are the most commonly used furnaces especially for areas with severe winter conditions. For an average house with average needs, which is an 80,000 BTU furnace with a 3 Ton blower that is installed in a first floor utility of a 2,000 square foot house. gas furnaces also has that option to be converted to a propane powered for a minimum fee. The average furnace cost for gas furnaces from brands like Bryant, York, Payne and Carrier runs from $650 to $1,200 while installation averages from $1,800 to $3,000. Electric furnaces – these are the types of furnace that are predominant in areas that don’t endure harsh winters and are less in-demand versus that of gas furnaces. Electric furnaces themselves can operate at a high efficiency; however they are usually more expensive to operate since they use a lot of electricity to heat a home. For electric furnaces, brands really do make a big difference in pricing, and often the more well-known brands also attract better qualified HVAC professionals, so installation for top brands will be at a premium. Average furnace cost stands at $665 while the average installation costs is at $1,950. Oil furnaces – Oil furnaces have been used longer than gas or electric furnaces, and they are commonly used in parts of the country that have a high availability of oil. Due to current oil prices, they are generally considered obsolete. As with gas and electric furnaces, installation costs are generally higher for the pricier furnaces since they are installed by HVAC professionals with more experience. Average oil furnace cost stands at $1,836 while the average installation costs is at $5,780. Once a homeowner is already decided to get the most appropriate and fitting furnace, looking for the best person to install the unit will be the next activity. Knowing who to trust can be difficult though. Most especially since these are dozens of heating contractors you can choose from. Make use of the ACCA’s contractor finder – ACCA or the Air Conditioning Contractors of America is a non profit association that helps contractors work together and promote professional contracting, energy efficiency and comfortable indoor environments. The ACCA contractor finder helps you find an ACCA contractor member for any purpose in your zip code area. For furnaces, you should click on heating and put in your zip code. Know the qualities of a good HVAC contractor and furnace installators – ACCA has put together tips for choosing the right contractor. These tips include a quality contractor performing checks and explaining changes necessary in your duct system, presenting options to help make better decisions in replacing your old HVAC system. Ask the contractors about his or her license. 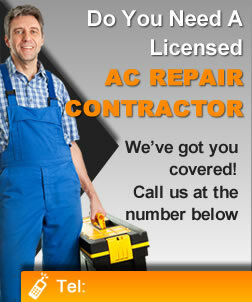 Verify if they are NATE certified technicians and have proven their knowledge of modern HVACR systems. Ask the right questions to ensure quality installations – Questions including estimates, timelines and overview of the process prior installation. Make sure to get at least three estimates. This will help you find a quality contractor that is also within your budget. The heating system in every homes is becoming if not has already become a priority for many families. It starts by having high awareness on the important details and information about furnaces, identify the most appropriate furnace for your homes through its energy efficiency ratings and output coinciding with the dimensions and characteristics of the project area and constantly coordinating with a resource person or a HVAC expert for repair and installation. Let us not leave behind the fact that as a homeowner, one has that essential responsibility of ensuring constant maintenance of the system for the furnace to operate and fulfill its role assigned.